When I was in school, Valentine’s Day meant hanging a construction paper mailbox off your desk for classmates to leave you a valentine — usually with some kind of pun on the front. It was a nice little act of kindness that made us all feel good! Consider the Destination Guide our year ‘round valentine to you. This blog highlights some of the newest additions to the guide — an assortment of treats for every taste. From hunts to fairs and everything in-between — you will discover something new that suits you. 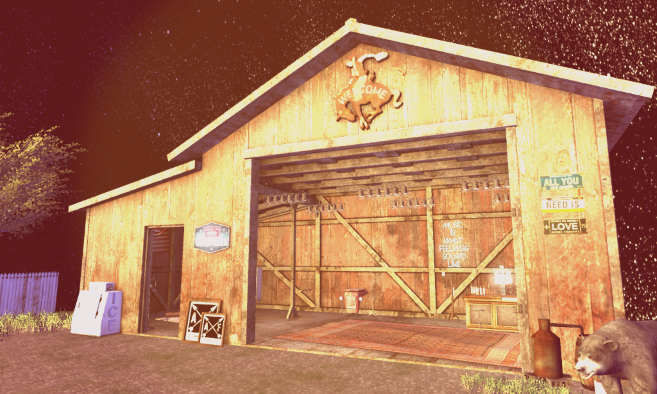 There is still some time to shop our inworld fair to remember at the Shop Your Heart Out Valentine’s Day event. You can find items from 50 merchants for up to 50% off! The perfect place to take your valentine for a little shopping. There is also the robust Valentine's Day category if you’re wondering where to take your special someone. 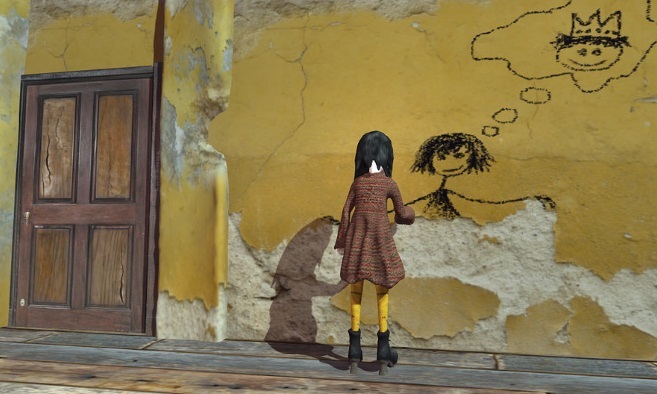 If your Second Life creation is missing from the Destination Guide, drop us a note at editor@lindenlab.com or submit your spot via form. 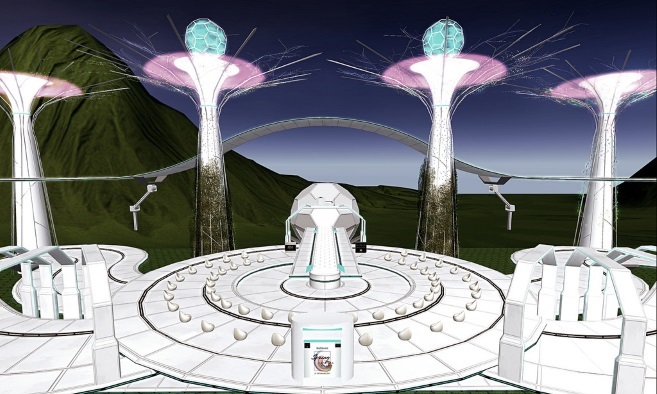 See you inworld, Residents and don’t forget to take loads of pics and share them on our official Second Life Flickr. Meraki Island is nestled on shores and mountains with majestic rock formations, white sand beaches, and a mix of Mediterranean, Asian and Middle East styles that merge to create a heavenly ambiance perfect for a relaxing vacation. 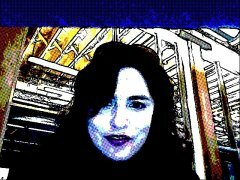 Alternative Facts is an open stream indie/alternative hangout where everyone can join together to share a love of music and inclusiveness. Savage Garden Amusement Park offers bumper cars, a roller coaster, bungee jumping, The Vortex, a water log ride, games and more. The vibrant sounds of authentic New Orleans jazz will fill your ears the moment you land on the cobble stoned streets of Mardi Gras Town. A holiday venue with incredible colors, ambiance and a festive spirit. 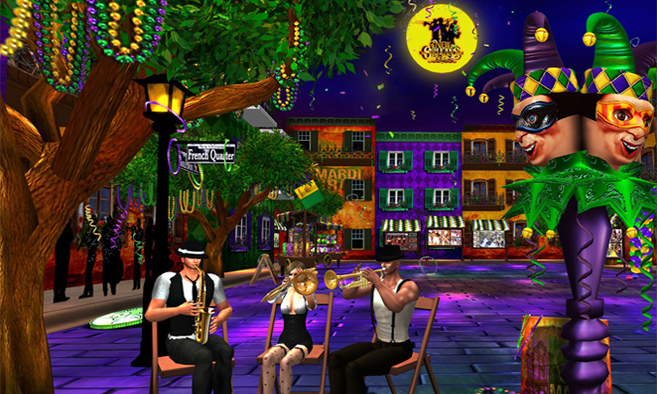 Mardi Gras Town is the destination to let the good times roll. It's time to stop cupid before he gets any more stupid! 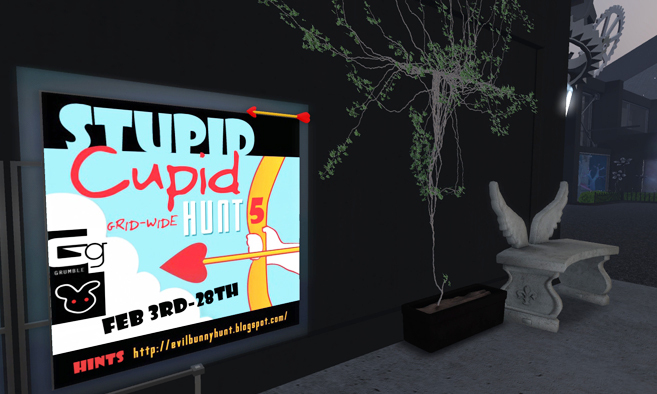 Find the arrows he's left laying around SL for amazing gifts from participating designers.Event ends Feb. 28th. More info evilbunnyhunt.blogspot.com. It's year two for the Truth or Dare Affair. A full month of love and lust that runs through the end of the month. Designers bring you their sexiest, sultry and sweet designs to help improve your love life! 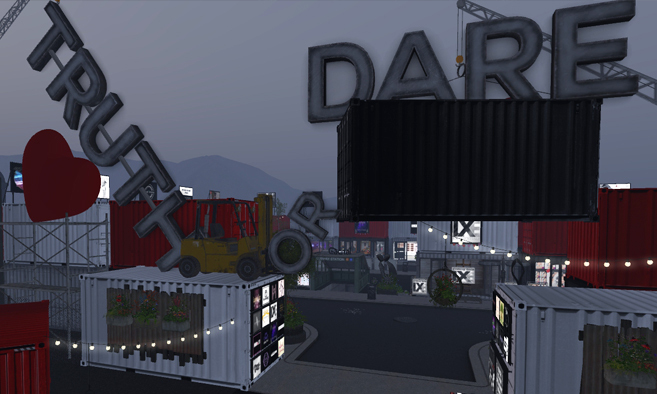 Visit the city market and check out all of the 10L gifts and gachas! 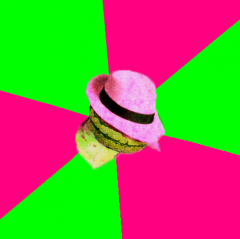 More info at evilbunnysl.com. 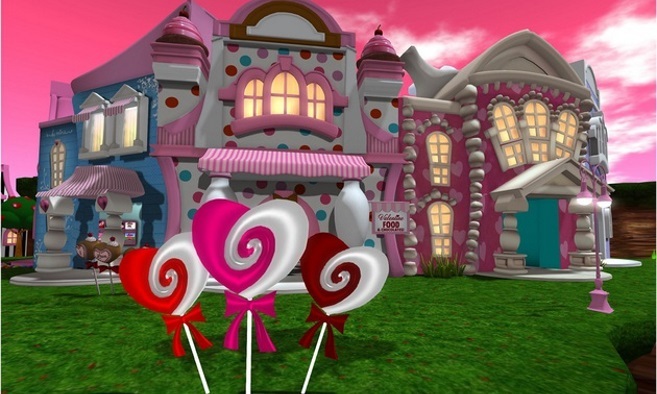 Valentine Town is a destination that is a visual panorama of all things that denote love and affection. From chocolate waterfalls to the sugary delight of giant gum balls, there is an endless feast for all the senses, with remarkable vistas and colors that bathe the visitor with affectionate delight. Incredible stores are featured with items for lovers and their beloved. Looking for that perfect romantic gift? You will find all your Valentine's Day gifts for the special person in your life at Snuggles. Many designers have come together to celebrate Valentine's Day at the Aphrodite Shop Valentines Market. This is your one-stop shopping place for clothes, furniture, romantic gifts and so much more. Springtime has come to the Land of Rainbows! From Valentine's Day to Easter, celebrate the season with lots and lots of flowers, new life and more! 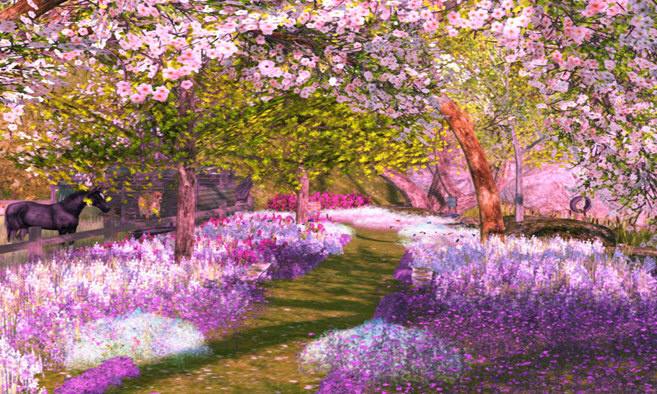 Start in the Visitor Center to learn more about wildlife and preservation, then make your way down into the sim and enjoy springtime at its best! 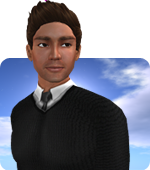 This open LGBT sim welcomes all. Next entry Hug and Dunk Lindens on Valentine’s Day at Isle of View!